The Royal Trek is so-named because Prince Charles and his 90 person entourage had explored this route in the early eighties. 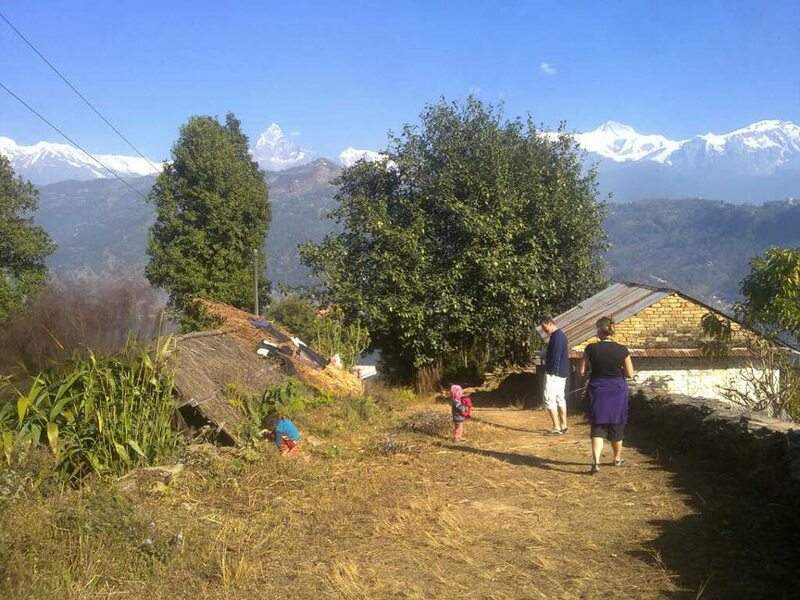 It is one of the shortest trek that takes you along the foothills of Annapurna – the north of the Pokhara valley. 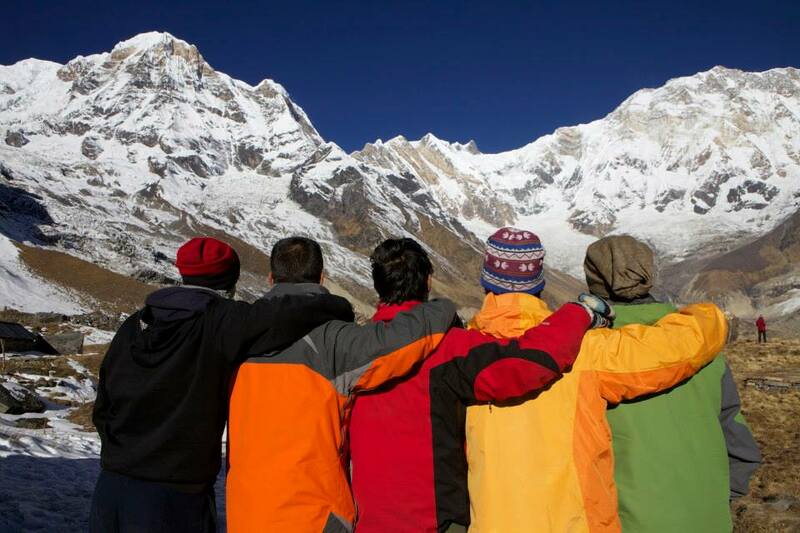 This trek provides the opportunities for meaningful cultural experiences with the diverse people and their cultures. The journey of Royal trek begins in the beautiful lakeside city of Pokhara and passes through beautiful Gurung village. During the trek, we enjoy stunning views of the eloquently built hillside rice terraces, the magnificent Annapurna range, Machapuchhre [fishtail] and the Langtang Mountain views. The trip finally ends at the scenic Begnas Lake which is about 30 km west of Pokhara City. Early morning, we take a tourist bus to Pokhara. If you are lucky and get the right side of the bus, you can take pleasure in amazing views of green mountains and villages. Upon reaching the enchanting city of Pokhara which offers magnificent views of Dhaulagiri, Manaslu, Machhapuchhare, five peaks of Annapurna and others, we check in to the hotel. Pokhara has numerous lakes, known as 'Tal' in Nepali which offer fishing, boating and swimming. Strolling around the Lakeside city and exploring it in the evening is enjoyable. Overnight in a hotel in Pokhara. Today, after breakfast we drive to Bijayapur Khola to begin our trek. Initially we start our walk for about an hour through flat paddy fields and cross the river. After crossing the river the trail starts to ascend to Kalikasthan. Lunch will be served midway through the climb. After arriving at Kalikasthan, we rest for some time then explore the surrounding areas. We spend overnight at a local guesthouse. After breakfast, we start walking through the villages. 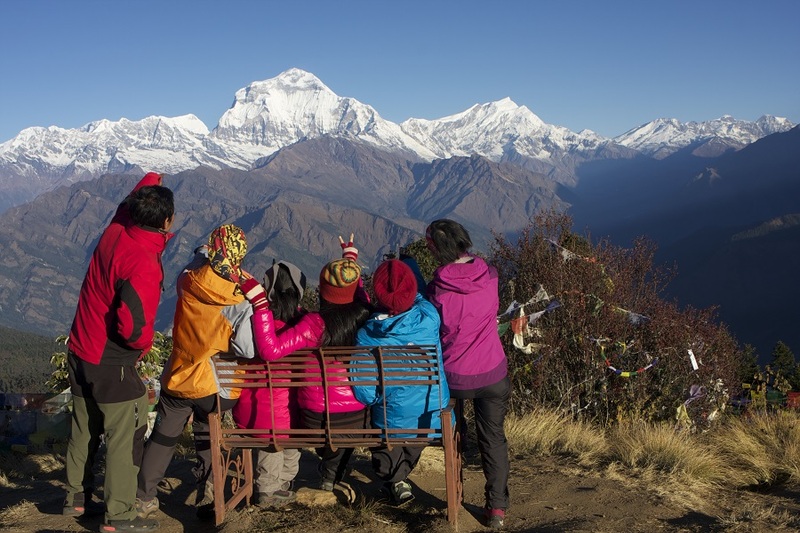 We walk along the ridge of the mountain which offers good views of Annapurna and Lamjung Himal. Today, we can explore many villages, its locals and the rhododendron forests. Overnight at Syaklung in local guesthouse. Walking through the Gurung village gives an opportunity to observe the local lifestyle. We move ahead playing a game of hide and seek with the rhododendron and Sal trees. Half way through the walk there is a 400m descent, then a 600m ascent for us to arrive at Chisapani. This is the best view point to see the Himalayan Panorama. 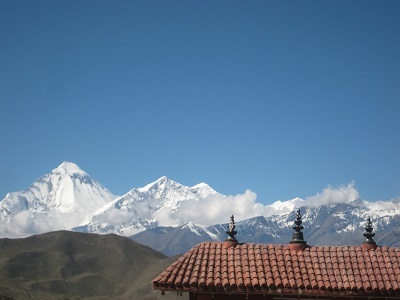 You will see Dhaulagiri to the west of Annapurna. Overnight in guesthouse. Early morning, we take a tourist bus to get back to Kathmandu. Watching scenic countryside en route makes our long bus journey interesting. Upon arrival in Kathmandu, your guide will transfer you to your hotel. Rest of the day can be spent at leisure or perhaps catching up with some last minute shopping or exploring any sights you missed during your first day in Kathmandu. Overnight in Kathmandu. Your trip comes to an end today! If you have more time you can do some shopping or sightseeing. A representative of Nepal Trek Ways will take you to the airport approximately 3 hours before the scheduled flight. 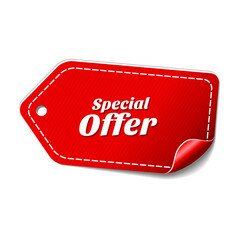 We look forward to welcome you for next wonderful Nepal trip. The very classic, Jomsom Muktinath Trek encapsulates the world's deepest gorge of the Kali Gandaki River, the charisma of Jomsom and the pious milieu of Muktinath- one of the most revered pilgrimage sites for Buddhists and Hindus.